Elemental Bismuth (poor metal). 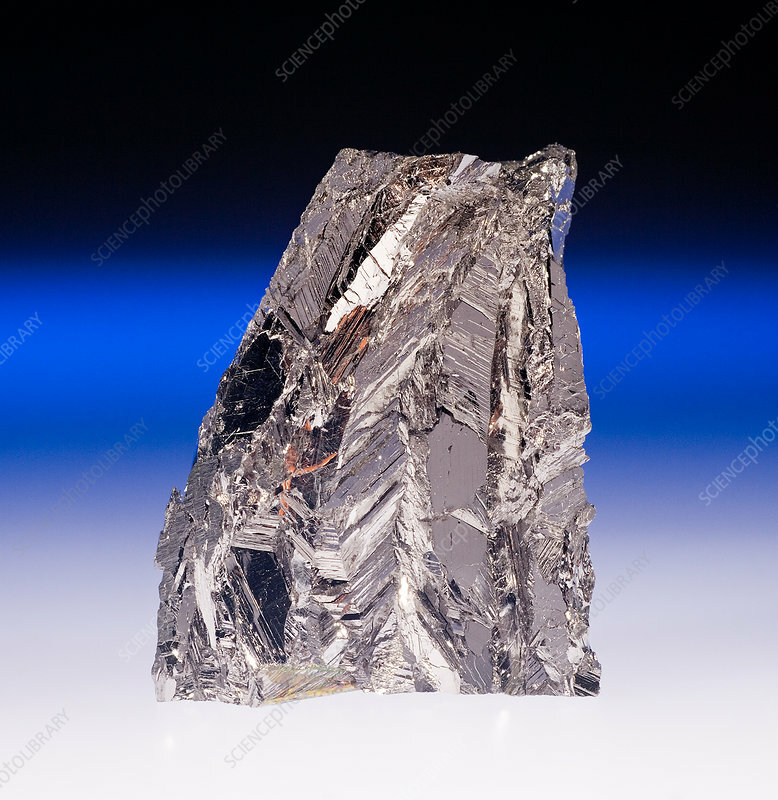 The most important bismuth ores are bismuthinite or bismuth glance (bismuth sulphide) and bismite (bismuth oxide). Bismuth has extremely low thermal and electrical conductivities. It is used to make low melting point alloys and solders, and in casting alloys, which expand on solidification giving clear replication of intricate features.